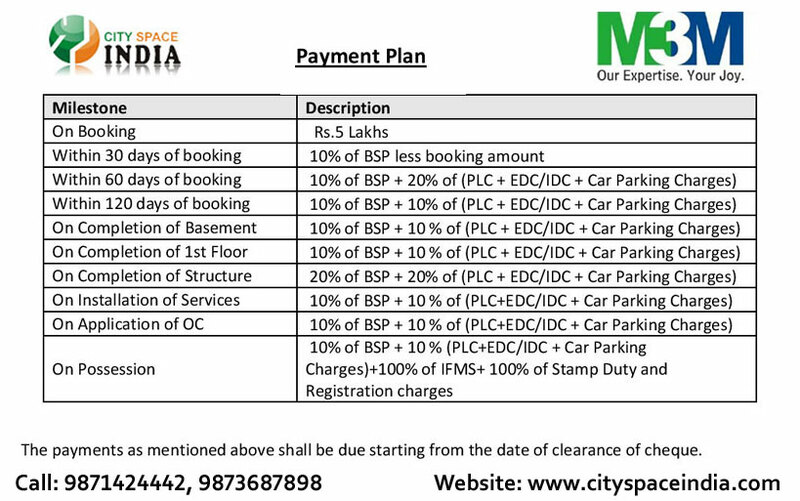 M3M Urbana Premium Sector 67 Gurgaon is a upcoming project by M3M Group M3M Group. M3M Urbana Premium offering High Quality Retail Shops & Food Court at reasonable prices. The new commercial project is thoughtfully designed in California style architecture, open gallery spaces, breathtaking décor, and an aura of freshness and modernism. Urbana Premium is on its launching phase, breaks all boundaries of exclusivity with the perfect blend of beauty and style. The project consists of two principles which provide a diverse experience for retail shoppers and effective working environment for employees. This M3M Urbana Premium is located in Sector 67, bang on SPR(Southern Periphery Road) AKA Golf Course Extension Road with close proximity to National Highway-8, Rajiv Chowk and IGI Airport. As per the location point of view, it is at one of the best locations, surrounded by multiple luxury housing complex including M3M Golfestate, IREO Victory Valley, Ansal Esencia Park Prime, Park View Spa Next etc. Pronounce framework & Integrated downlighting to all gateways to silhouette. Also defining the entrance is the feature central wall which is uplit in a signature colour to highlight & draw interest to the site, whilst also creating a backdrop to feature palm trees in this area. Video Surveillance in Basement Parking, Basement & Ground Floor Lobbies and boom Barriers at Entry & Exit Points. Provision for Split ACs in the Retail Units. Exterior & Lobby Finish: Combination of Stone and Painted surface. Arcade along all Retail units. Provision for Cable TV & Fixed Line. Modern Fire Detection and Suppression Systems. M3M Group is a Gurgaon based real estate builder showing its commitments towards developing state of the art real estate masterpiece. This real estate developer has always strived to acquire the best talent in the field. The company has gained priceless experience in the real estate filed with diverse and civil talents from a rich network of first-class intermediaries, financial institutions, high-net-worth individuals and some of the most reputed developers in India.